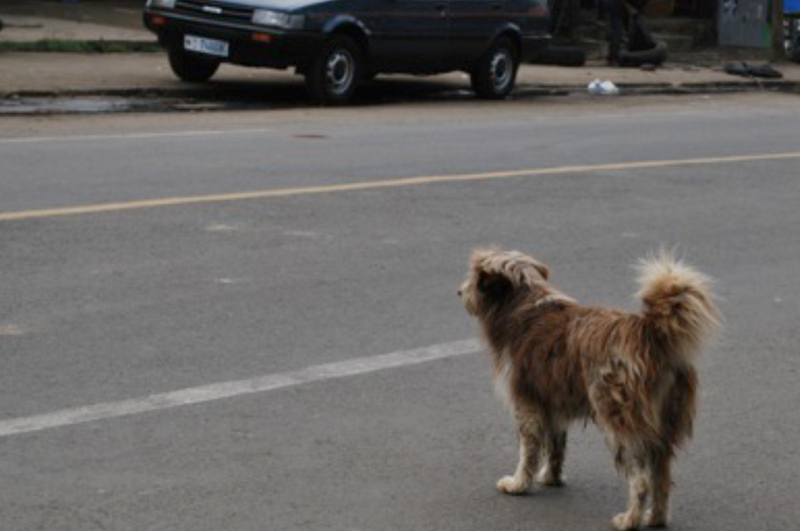 I took this picture of a stray dog outside the Jupiter Hotel in Addis Ababa. This is kind of how I felt trying to navigate a busy street with unfamiliar language and surroundings. One of the first people we met when we arrived in Addis Ababa was Daniel, our driver who took us around some of the sights. Traffic is very bad, with pedestrians, loaded mules, stray animals and vehicles trying to share the same road. Most of the dogs we saw were roaming the street, but as we wove through traffic, I asked Daniel if he had a dog. He was happy to show us photos of “Jack.” We know that dogs are important parts of many peoples’ families, and this was true for Daniel as well. Daniel was concerned because Jack had some sort of infestation, and he did not know how to treat it. Unfortunately, we had two nurses in the car and no veterinarians. We did stop at a local pharmacy to see what treatments they might have. While we were able to buy fairly high-end human antibiotics, but they did not carry veterinary medications. During our tour of Gondar, we encountered this donkey, which in Ethiopia are seen as work animals. I asked one of the veterinarians with our group about an ulcer on the back of this donkey. He actually pointed me to a paper he had written about these “pack ulcers” –erosions caused by loading of the animal for transport of goods to the market. They are generally non-infectious, but they look uncomfortable! Posted by omalley.44@osu.edu at 2:37pm Posted in Nursing, Veterinary Medicine and tagged Addis Ababa, animal health, Dog, Ethiopia, Gondar, ohio state, Ohio State University, One Health Summer Institute, Tim Landers. Bookmark the permalink. ← Ohio State Arrives in Gondar–Let One Health Begin!